This print was issued to promote Paul's Chaos and Creation album. 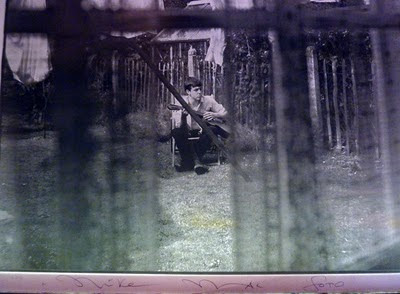 The photograph was taken by taken by his brother in their back garden when they were younger. When Paul's son James was in Liverpool recently, he and Mike recreated this photograph. The print is signed by Mike McCartney and he has added the word "foto"